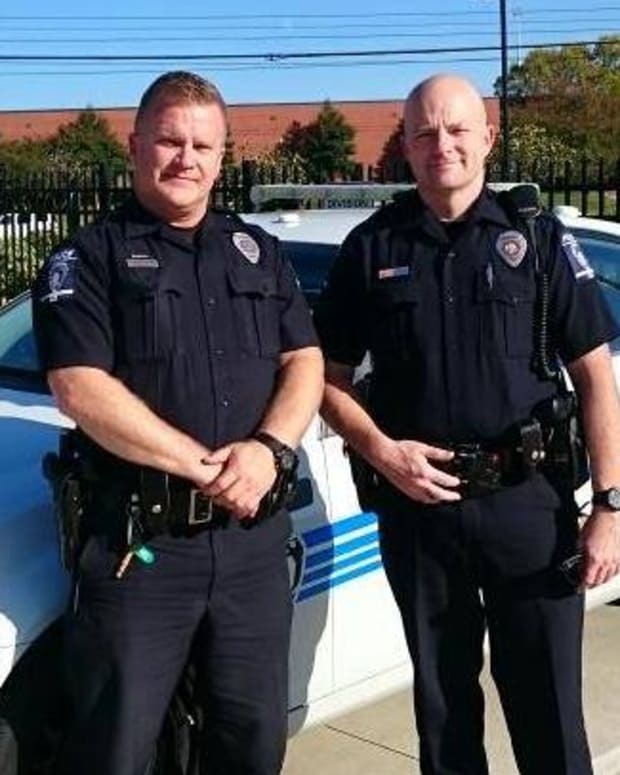 Two Tennessee police officers were at a local Sonic restaurant on Nov. 18 when they were seen buying a meal for a homeless man. 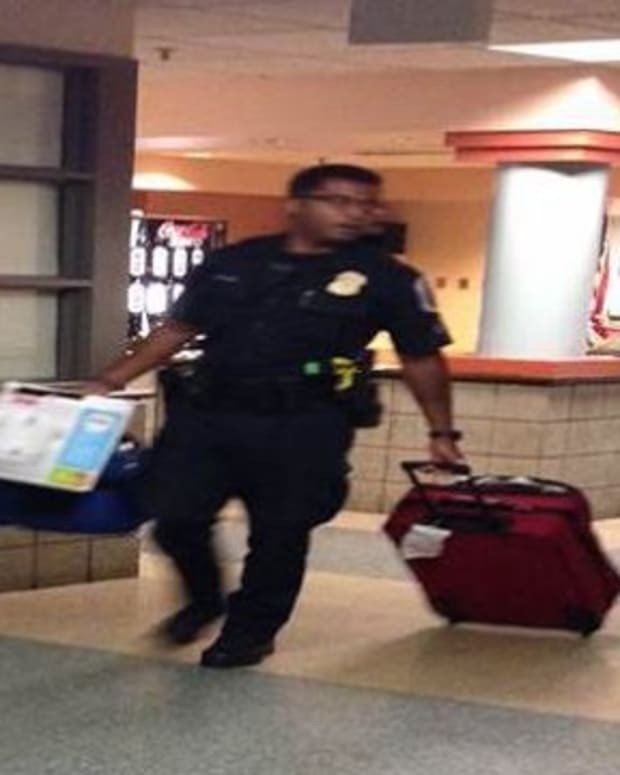 Chris Bawcum, a resident, witnessed the event and posted the story to Facebook on Nov. 18. 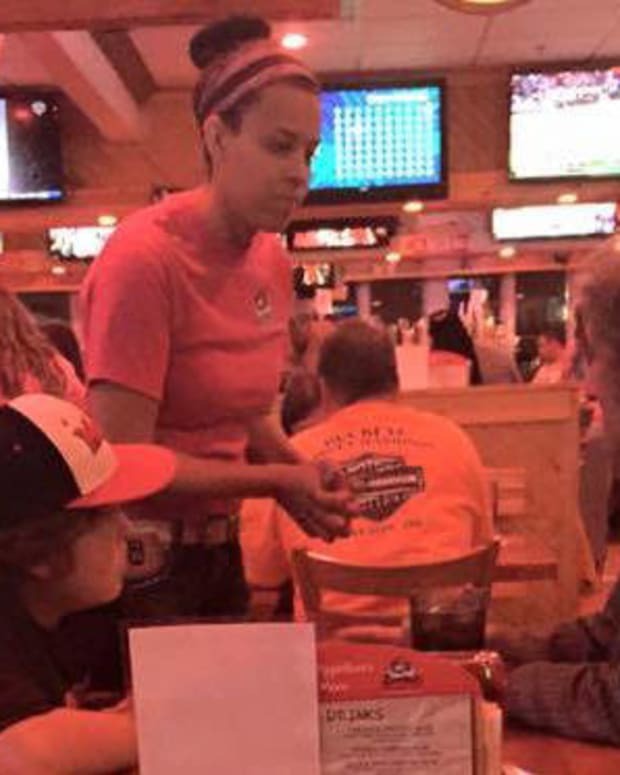 His Facebook post has since gone viral, garnering over 11,000 &apos;shares&apos; as of this writing. The two officers reportedly walked up to the homeless man after he had a breakdown in front of the restaurant. 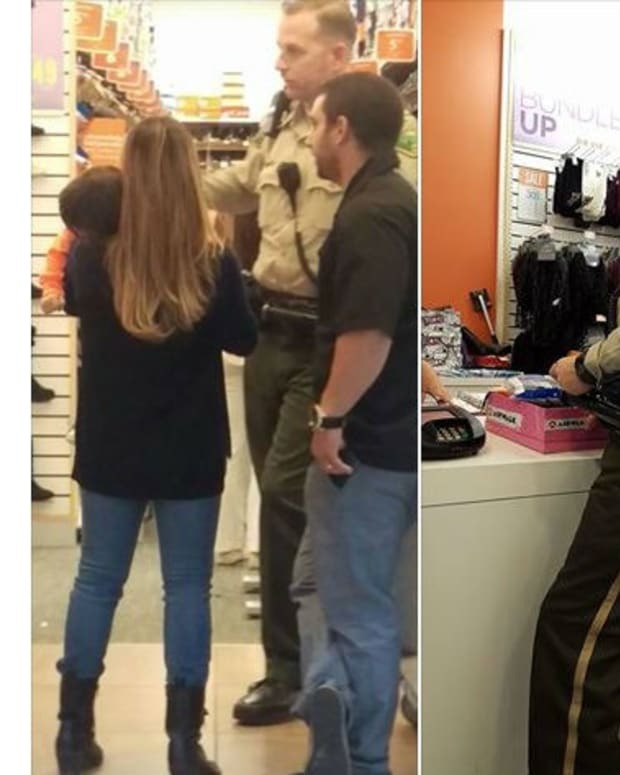 In the photo, the officers can be seen talking to him. 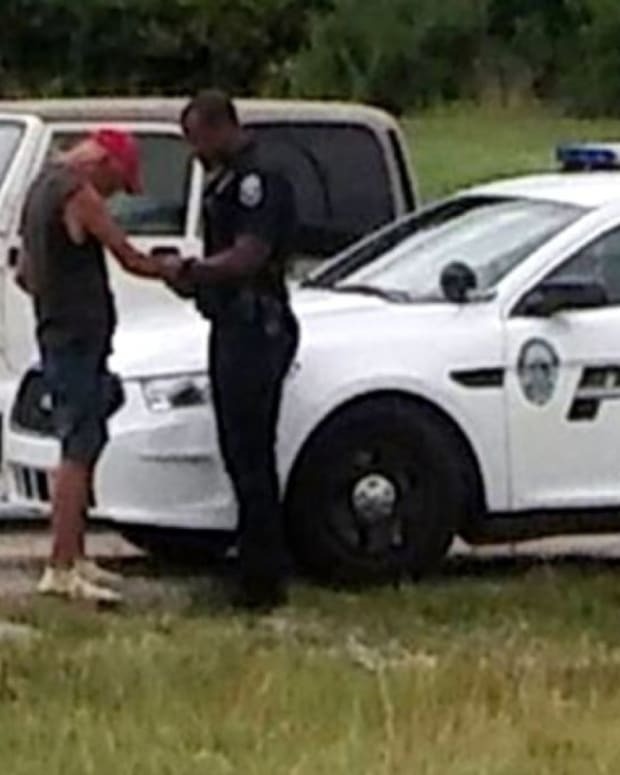 After a few minutes of conversation, the officers shook the man’s hand and ordered him a meal. 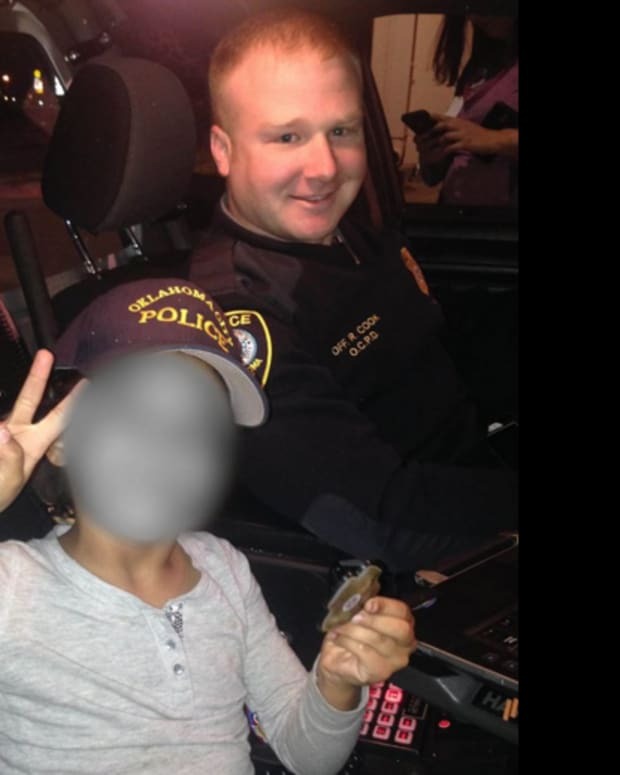 Bawcum posted on Facebook that he went to talk with the officers after witnessing the event. 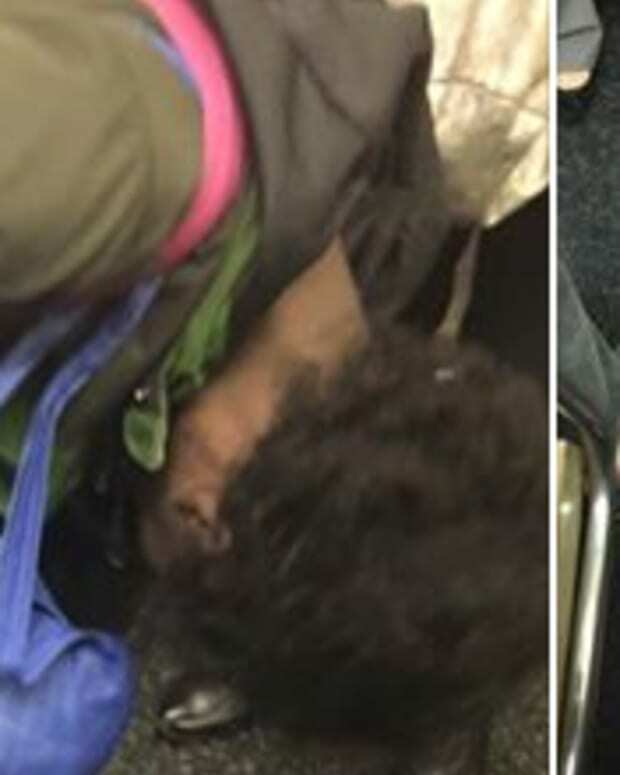 Both officers noted that they try to help out when they can, and often offer help to several men on their patrol route, especially during the holidays. Bawcum added that the officers are doing God’s work. 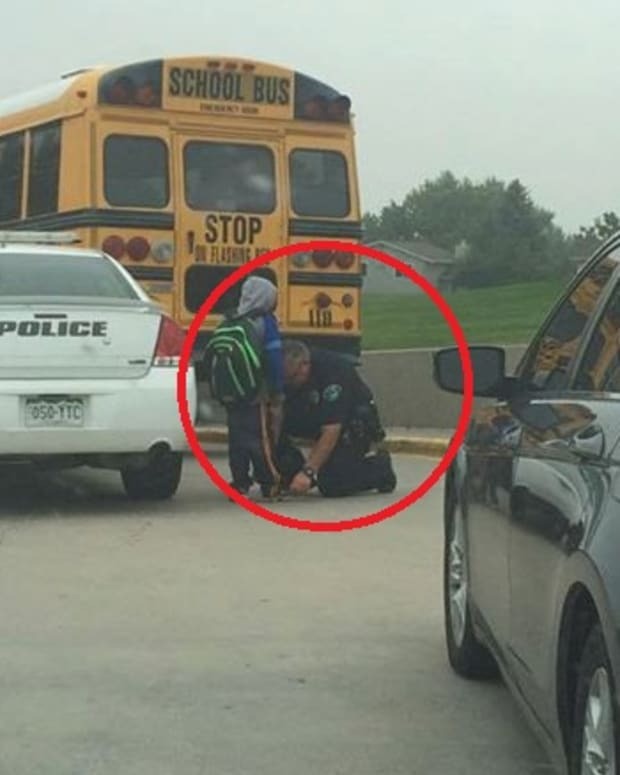 This isn&apos;t the first time a police officer&apos;s good deed was caught on camera. 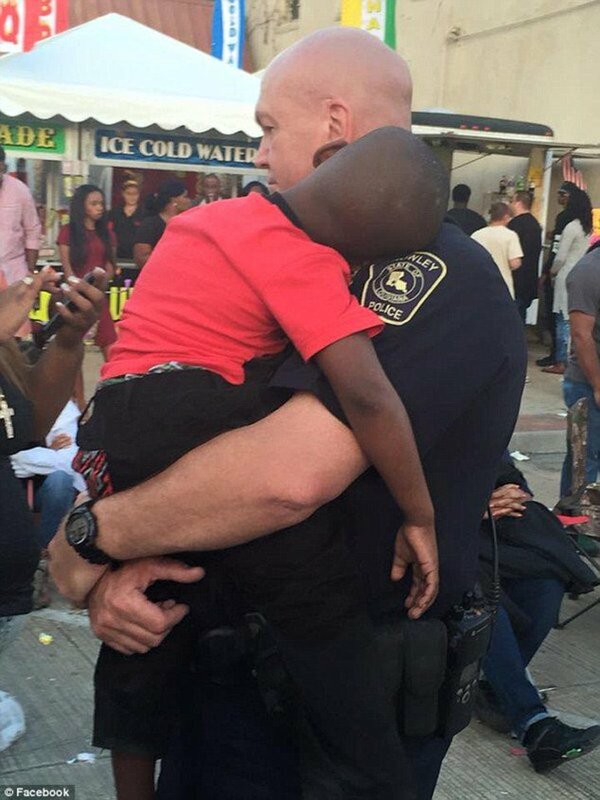 On Oct. 21, a woman snapped a photo of a police officer comforting a young boy who got lost at a fair and posted it online, where it soon went viral. The little boy had gotten separated from his mother at the Rice Festival in Louisiana, and he ended up falling asleep in the officer&apos;s arms, CBS affiliate KLFY reported at the time.